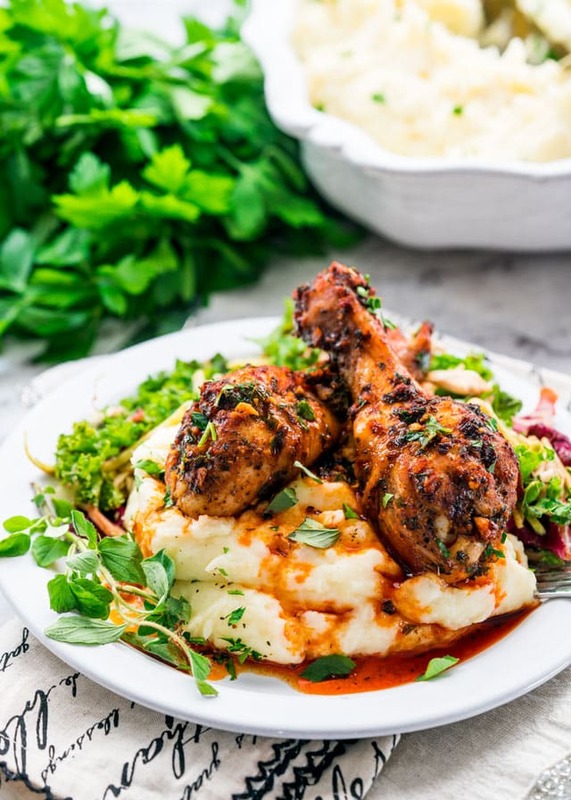 Garlic and Paprika Chicken – Deliciously baked crispy, juicy and tender chicken drumsticks with a garlic and smoked paprika sauce. I shared this recipe with you a couple years ago and you guys absolutely love it. Here I am with it again with new pictures and a video. This is one of our favorite chicken recipes that we make often because they’re super easy and so good. There’s a really funny story with this chicken. First time I made it, I screwed up royally. Not because I don’t know what I’m doing or anything, but because I’m blind and refuse to wear my glasses all the time. Now I have a huge spice cabinet and it’s organized nicely by my dear hubs. He labels everything for me and while the jars are not in alphabetical order, they are arranged according to their size. My cayenne pepper and smoked paprika are in the same jar size, and as you know they’re both red, so as I grabbed a jar and I saw 2 words on the label I immediately assumed that it was smoked paprika, not my fault they look the same. Well big mistake, I grabbed the cayenne pepper jar and if you look at the recipe you’ll notice that you need 2 tablespoon of smoked paprika, because I just love smoked paprika. Well I don’t think I need to tell you any more, you can probably imagine how spicy this chicken ended up being, I mean it was freaking hot!! I couldn’t even take a bite out of it. I know I’ve come a long way when it comes to eating spicy food, but this was beyond spicy, this was an inferno! 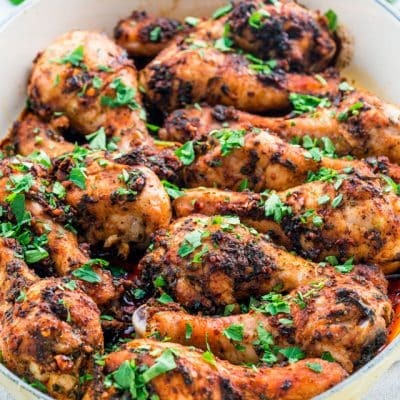 Since then, I’ve made this chicken numerous times and I always always make sure I grab the paprika and not the cayenne pepper because even without the cayenne pepper this chicken has a bit of a kick to it from the red pepper flakes. But I also make sure I put my glasses on now when I grab spices, because you never know what I’ll end up with. So the moral of the story is, please make sure you wear your glasses when you read the labels on spice jars, don’t be stubborn like me! 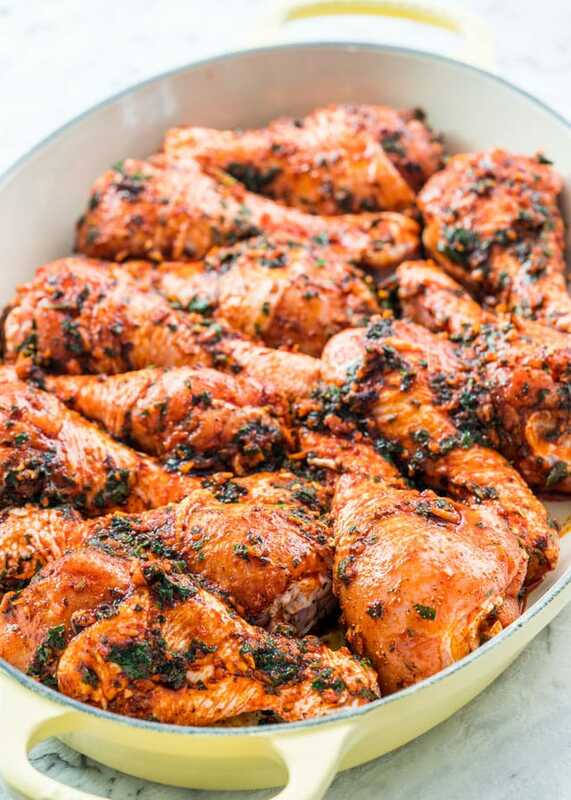 And if you actually make this chicken the way it’s supposed to be made with smoked paprika and not cayenne pepper, you will actually enjoy it and love it! What’s not to love about smoked paprika and garlic together! We’re talking fabulous my friends, simply fabulous! I’ve served this with my classic mashed potatoes recipe which is coming up soon, it’s my mom’s way of making mashed potatoes and you never mess with mom’s recipe because they’re so fluffy and delicious! I’ve also served this with lemon orzo and asparagus, which is great especially if you’re looking for a lighter meal. 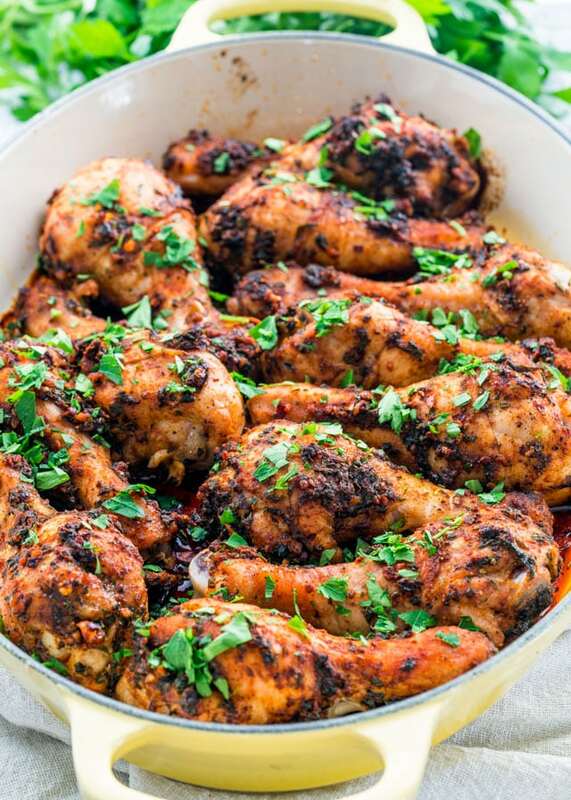 Garlic and Paprika Chicken - Deliciously baked crispy, juicy and tender chicken drumsticks with a garlic and smoked paprika sauce. If you can't find smoked paprika, regular paprika will work as well. This spice blend can be used on any type of chicken. This cook time will be the same for breasts and leg quarters. This can be served with Lemon Orzo with Asparagus or mashed potatoes. Easy and excellent. Now my go-to dish. I brine the chicken legs overnight and omit the salt in the recipe. Delish! Do I bake it covered or uncovered? It has skin on, but I will remove it before eating. Uncovered. You can also buy the skinless chicken drumsticks and use those, if you’re looking for them to be a bit healthier. Cayenne would be an awesome addition! Give it a try. I’ve made your IP chicken noodle soup and now I’ve made this paprika chicken. 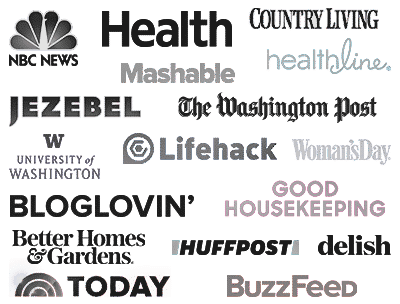 My husband and I love the recipes I’ve made so far!! This is in my favorites tab 🙂 thanks! Hi, just wanted to ask if i can do this recepie at 425 F degrees,so that i can finish by 25 minutes?Is it possible? The chicken will not be cooked all the way through with only 25 minutes. i cook this for 25 min in an instant pot then i broil both side for meat side for 5 min and skin for 7 min. i love the skin crispy..
Did you have to add any additional liquid? Merlin, what kind of question is this? If the recipe says 45 minutes at 425 how is it going to be done in 25 at the same temp? 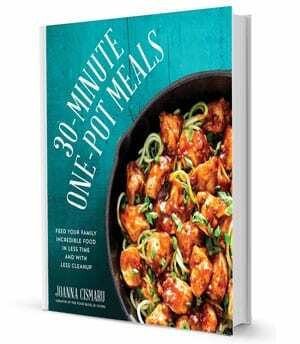 It would probably take 20 to 30 minutes, though I’ve never tried this recipe on the stovetop. The problem might be that the sauce would maybe burn, unless you cook them covered. I made this last night with regular paprika because I didn’t have smoked paprika. I added 1-2 tbsp of Splenda brown sugar (my partner is diabetic so can’t have regular) and it added a lovely sweetness to it. I wasn’t sure what regular paprika would taste like without a bit of sweetness to offset it! It was excellent! Do you think this would work with boneless chicken breasts or boneless thighs? My daughter hates any bone in chicken and I’m wondering how to pare it down for two. As per the recipe notes, you can use any type of chicken that you prefer. You can also hover your cursor over the number of servings in the recipe card to change the amount that you need. Made this tonight and it was absolutely delicious. I used regular paprika and dried herbs, because that’s all I had, but I swear this was the BEST spice mix I’ve ever tasted!! Next time, I’m going to take the skin off so the chicken gets alllll the flavor! I will say that the oil smoked quite a bit in my oven, and at 425, the chicken was done after only 25 min. or so (I tested with a thermometer). But I will take a smoky kitchen anytime to eat this again. YUM! If I bake this today but actually not eating it until tomorrow night, what do u suggest reheating instructions should be? Thanks! A quick zap in the microwave should be just fine. If not, you can put these in the oven at 425F for 5-10 minutes. Wondering if I could make this as a marinade in a ziploc with the chicken and freeze it? Do you think itd turn out after sitting? I’m not sure how many people you’re feeding but you can adjust the number of servings in the recipe card to suit how many drumsticks you want to make. Have you ever Cooked this on the grill?? I have! It was absolutely fantastic. Give it a go! Can i use oregano n parsley as flakes instead of fresh ones. If i can what will be da amounts for them plz! It looks really yummmsss! You definitely can. A good rule of thumb is to use 1/2 the amount of dried herbs when fresh herbs are called for in a recipe. Did you leave skin on? Can I remove skin if so? Looking forward to making this tonight! Yes mine had the skin on but you can definitely remove the skin, if you choose to. This is absolutely the best. 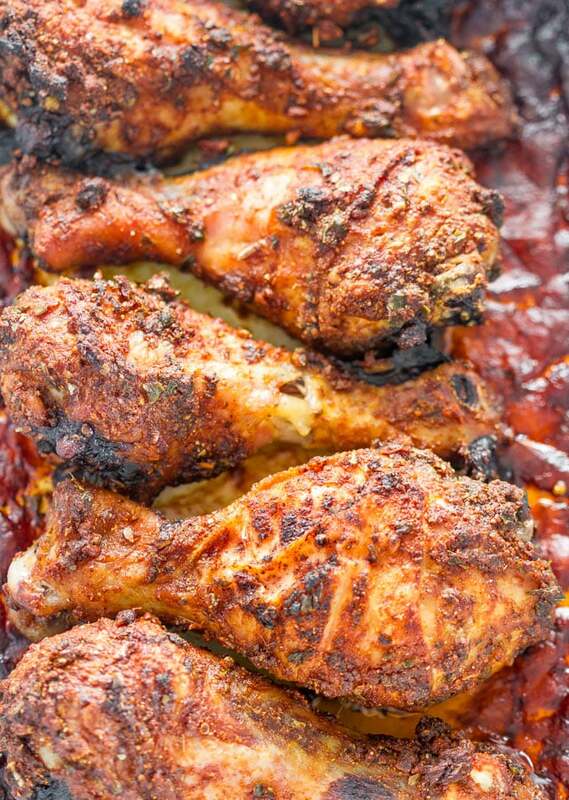 I use the seasonings in this recipe for my main chix seasoning now. So. Good. Thanks for the recipe!!! I used regular paprika and dried oregano and parsley as that’s what I already had on hand. Can’t wait to try it with the smoked paprika and fresh herbs. Delish. My toddler even loved it. 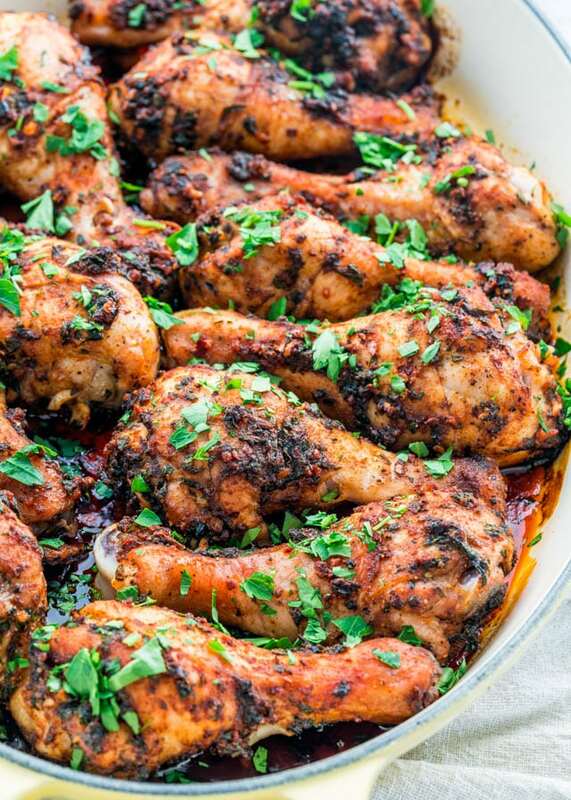 Is the sauce what’s at the bottom of the pan the chicken is cooked in? Do you add anything to it or strain it? I hope to make this tonight. That’s correct and no I didn’t do anything to it, whatever was left is what I used.